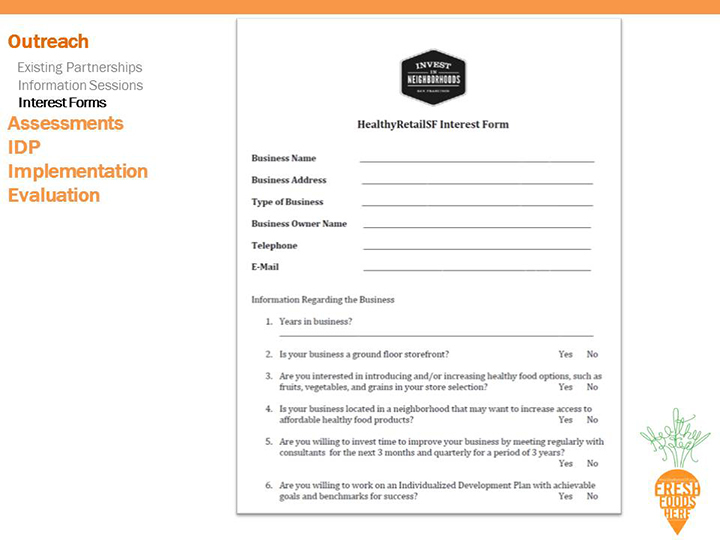 Healthy Retail SF defines healthy retail; creates an expert advisory group; designs program structures and tools; and implements neighborhood wide outreach meetings with store owners. 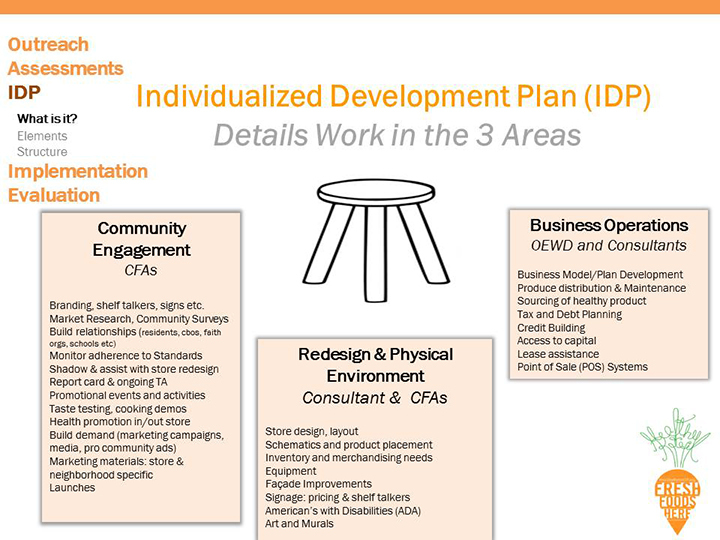 Each participating store receives a tailored 13-page Individualized Development Plan (IDP) that outlines activities, timelines, persons responsible and budget in three areas: business operations, physical changes to the store, and community engagement and marketing. 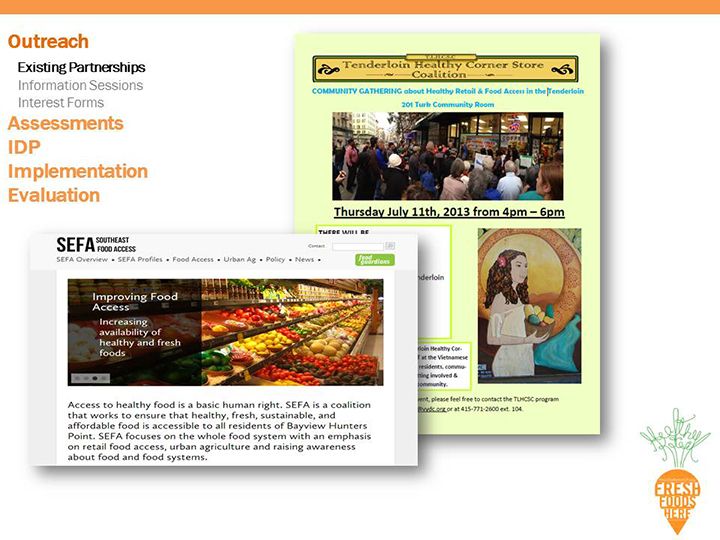 Community Food Advocates called Food Guardians and Food Justice Leaders are a critical element of the model. 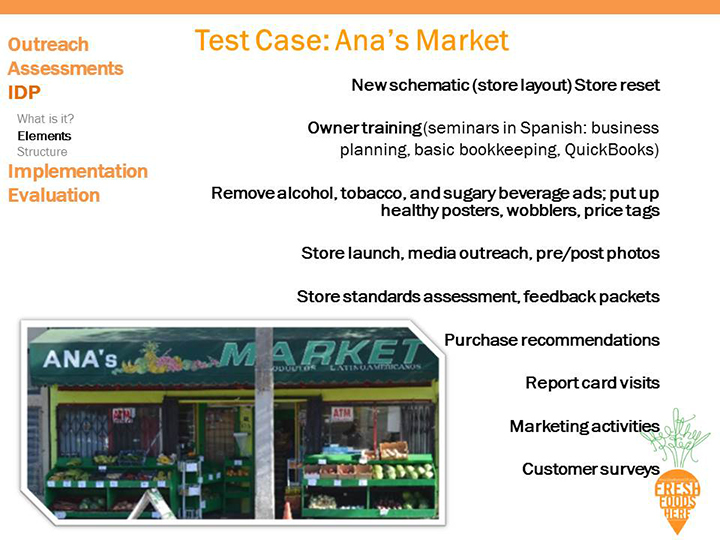 Healthy Retail SF is staffed by SFDPH and the OEWD where it is housed. 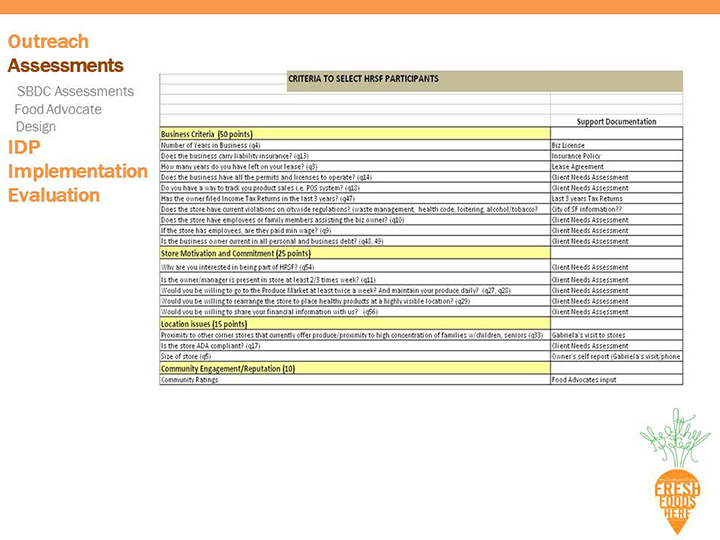 The grassroots activism to provide healthy food options in the Bayview (by South East Food Access, SEFA) and the Tenderloin (by The Tenderloin Healthy Corner Store Coalition, TLHCSC on Facebook) has led to institutional change within city government. 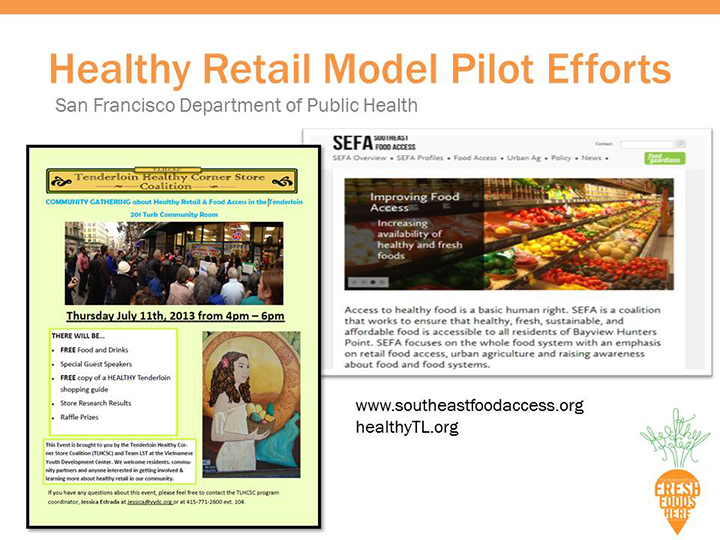 In 2013, Supervisor Eric Mar introduced legislation that created Healthy Retail SF, which is led by the Office of Economic and Workforce Development (OEWD), under the Mayor Lee’s Invest in Neighborhoods initiative, in conjunction with the Department of Public Health. EatSF provides a voucher program that some stores participate in to help consumers pay for produce. Shape Up SF is a multidisciplinary body convened to address the epidemic of chronic disease through primary prevention and environmental strategies, with an emphasis on physical activity and nutrition. Cooking Matters /18 Reasons Empowers our community with confidence and creativity to buy, cook and eat good food every day. Feeling Good Project, part of the Nutrition Services Program of the San Francisco Department of Public Health, aims to improve the nutritional well-being and physical activity of low income San Francisco residents by providing nutrition education to increase consumption of fruits and vegetables, promoting daily physical activity and providing information on the USDA Food Stamp Program. 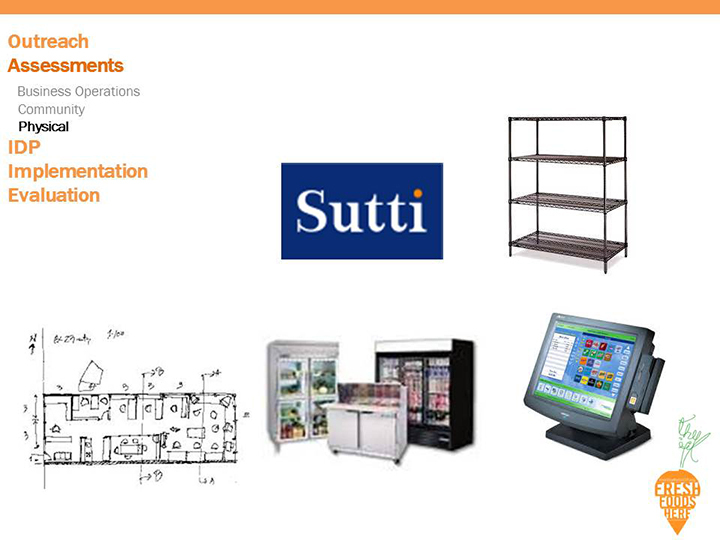 +1 415-254-5094 | info@HealthyRetailSF.org | San Francisco, California USA | Follow us on Facebook.